There was the sight of Kalfin in a kayak, of Viktor Papazov tending to his beekeeping and, of course, the eternal derby that is the Bulgarian Socialist Party vs GERB boxing, fencing and chess matches. 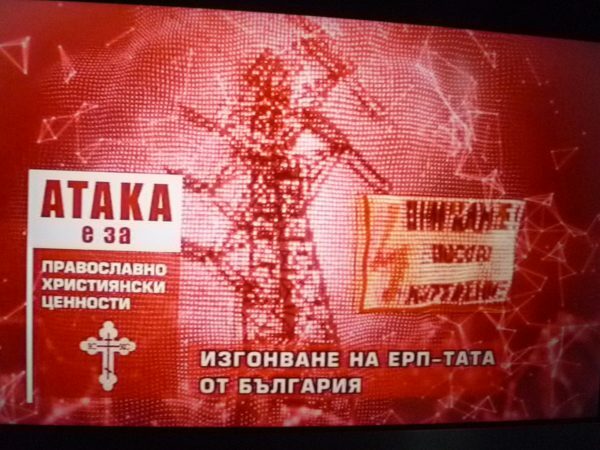 These are some of the fleeting images to which Bulgarian television viewers are treated, if that is the word, nightly in the slots devoted to election campaign videos. It takes a degree of discipline to sit through them, at least with one’s blood pressure undisturbed and one’s remote control finger well at heel. Well, at least some of them have been the subject of animated discussion, if only by the Central Election Commission and, in one (or three) cases, by GERB leader Boiko Borissov. 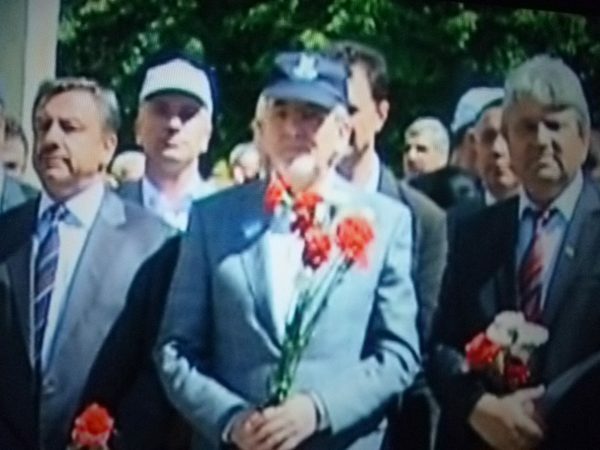 In the case of the CEC, it was three we no longer see, all from Volen Siderov’s ultra-nationalists Ataka. Illegal use of children as campaign tools to outright nastiness were the reasons for the Ataka videos to be ordered withdrawn. 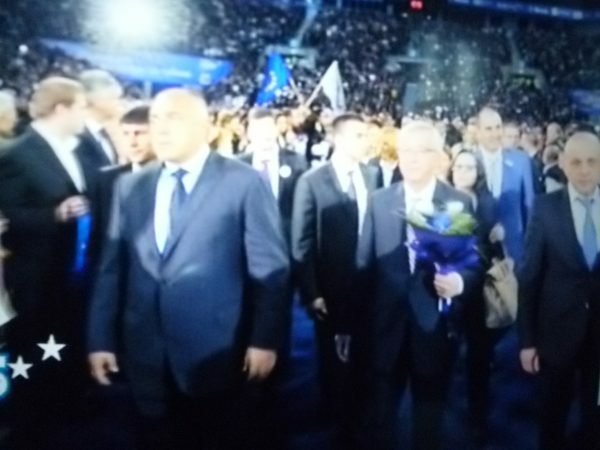 But Ataka is back, on the evening of May 19 with the far-right party’s unique interpretation of its place in the defence of Orthodox Christian values, ending with the unfurling of a banner depicting the face of Siderov. Perhaps the red hues resonate with some. But for this viewer, given the surreal choice of shades, it strangely brought to mind a title for that clip: “300: Rise of a Vampire”. For the current writer, who cannot be bothered to try to remember in how many elections in several countries he has sacrificed pen and notebook pages, it is Borissov’s obsession with talking about the BSP videos of his party being defeated, respectively, at boxing, fencing and chess that is decidedly odd. Borissov talks about them so much that anyone who has missed them might be tempted to take a look. Oh, all right, if you really insist, they are YouTube. Without doubt, the best production values of any campaign video in this election, but probably of vastly less enduring charm than the true purpose of YouTube, which importantly includes adorably cute kitten videos and only-on-vinyl early 1970s rock. Apart from the unwitting irony of the BSP emphasising victory – perhaps a reference to May 2013, when it ran second but yet got the mandate to govern? 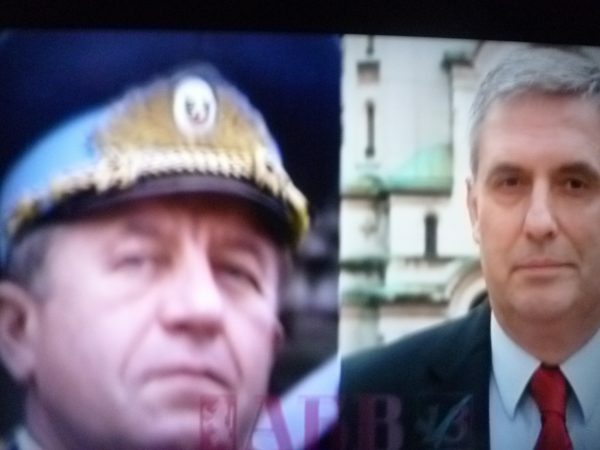 Perhaps Borissov sees something of himself in the losing figure in blue, albeit that the proboscis is a wee bit too prominent to match the former prime minister’s own. Speaking of stars, the Reformist Bloc appears to have cornered – with the exception of “Lambo” Danailov – the market. 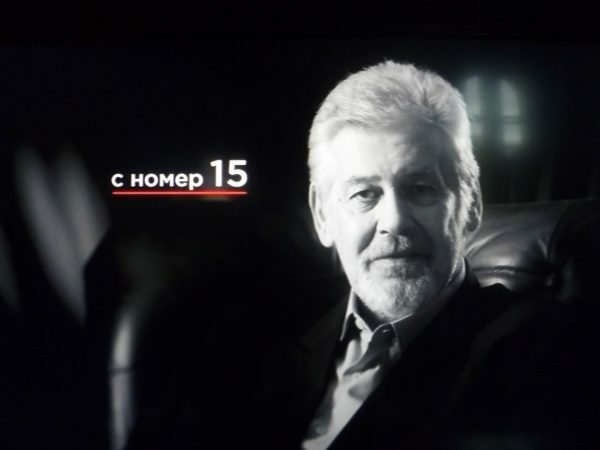 Stars of stage, screen and Bulgarian pop relate their Damascus experience, in the initial series in which they told how how they had realised that the Reformist Bloc made it worthwhile voting, and the more recent in which they listen attentively as Meglena Kouneva, the list leader, underlines the message. The mind wanders during this, to the old thespians’ tale: But what’s my motivation? – Never mind your motivation, just remember your lines, and don’t trip over the furniture. Back to the beekeeping. Papazov tells us, more or less, that his valuable lessons in life were learnt from those busy endeavours. No bees were harmed in this production, but it is doubtful any voters were added to the hive. 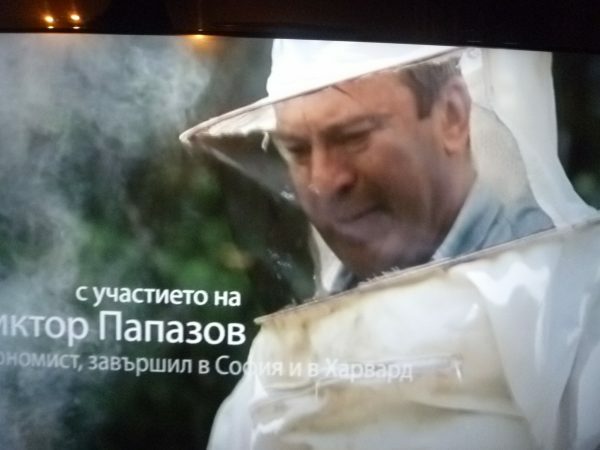 Speaking of bees, busy as, few could match the ubiquity of Nikolai Barekov, the former television talk show host around whom the Bulgaria Without Censorship movement has been formed. Ubique (“Everywhere”) is the motto of the artillery corps, and Barekov reminds one of that, staging bombardments that are relentless and with all the refined subtlety of a high-explosive cannonade. Barekov’s slot of choice is the “paid reportage”, of halls full of appreciative audiences apparently lapping up the latest barrage of promises. Only a cynic would suggest that given the unsustainability of practically all of these promises, Bombardier Barekov is firing blanks. 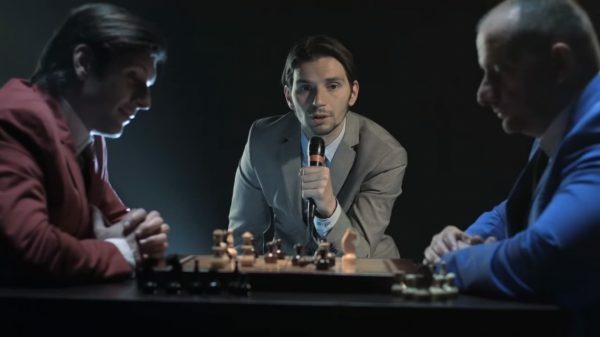 GERB, which may or may not emerge with the largest share of votes on May 25, will win no industry awards for its video, a rapidly-edited succession of its leading lights looking dreamily at each other and musing on how the centre-right party is simply the most experienced and simply deserves to get its clutch back on the tiller. In short, it’s boring, or as my 12-year-old daughter put it, resembles more than anything else out-takes from a pop music awards ceremony. Then there are the various Green parties, of which one chose simply to show us the beauty of Bulgarian nature – with no people featuring at all, let alone its candidates. Maybe Bulgarian nature would have been in a safer position had humankind never evolved, or at least insufficiently to discover the recipe for concrete. I can see that. The ultimate winner in the crashingly boring and mysteriously vague video stakes, however, must be the Movement for Rights and Freedoms, who murmur to us that Bulgaria’s place is in Europe and…oh, pardon me, dozed off in those few seconds. Finally, Georgi Purvanov’s ABC, which generally shows much more Purvanov than its ticket leader, Ivailo Kalfin (By the way, who on earth is that chap with the enormous cap who appears in the final moments of the ABC clip? This is supposed to be a European Parliament vote, not a General Election). 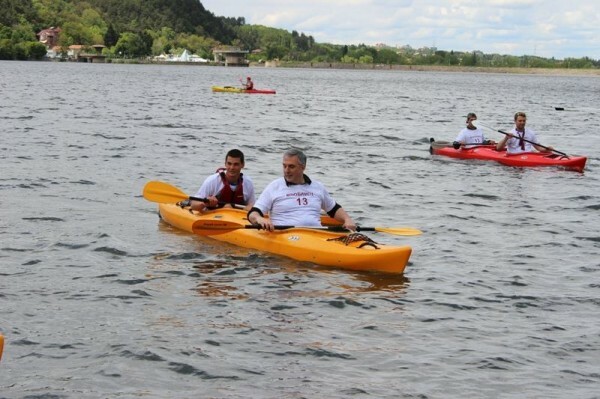 Still, at least we have the memorable image of Kalfin going kayaking, good for a more interesting image if a little more difficult in terms of meet-and-greet with the electorate, there on those muddy waters. Still, there’s nothing so much worth doing as messing about in boats, is there? Does Kalfin’s kayak lead to Brussels? On May 25, we will know whether he and others may – at least – be awarded for services to Bulgaria’s video industry, and apart from that, simply sink without a trace.